Hey there, darlings! With Christmas fast approaching, some of you might be suffering from a panic attack due to 'lastminuteshoppingitus.' 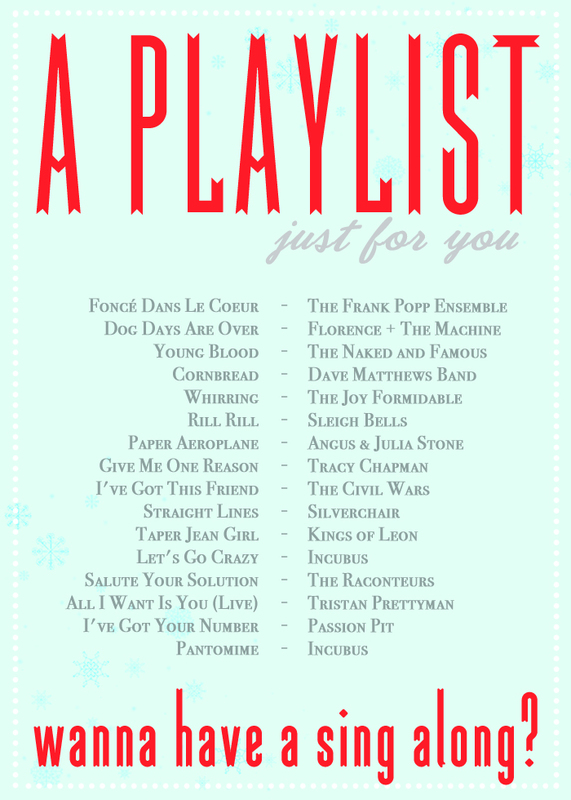 So I figured I would repost the free printable playlist I made for one of the holiday gift guides this year. Just print this off on some nice cardstock, buy an iTunes giftcard, and you are all set. Now I may not have the hottest, coolest, and newest tunes on the list, but they are still 'spinning' on my iPod and that's good enough for me. What are some of you fave holiday tunes? I think mine just might be "Baby It's Cold Outside"....loves it. 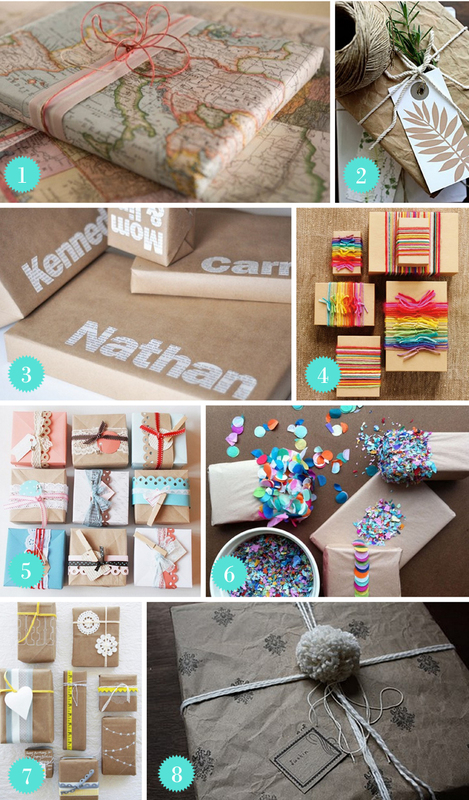 Now, scrounging up some super cool and inexpensive wrapping paper has never been so easy. Just raid your local grocery store's brown bag stash and decorate it with colored ribbon, yarn, ornaments, etc. I am also loving the map-as-wrap idea! Genius. Hope you are enjoying a very festive holiday season. Catching up on blogs just in time to wish you a happy NYE and even more fabulous 2012!